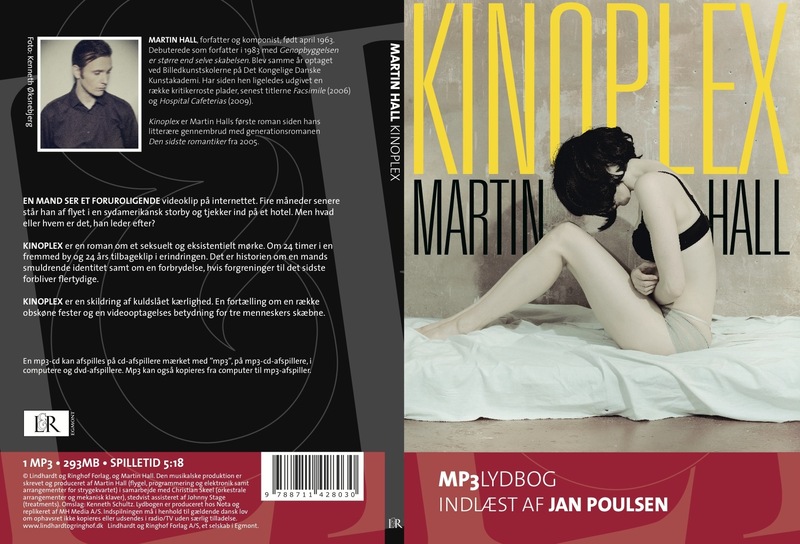 Kinoplex was Martin Hall’s first piece of fiction since his literary breakthrough with The Last Romantic released in August 2005. The book was also made available as an audiobook, a recording featuring a line of new music written by Hall and Danish visual artist Christian Skeel. In comparison to its predecessor Kinoplex is a darker, more plot-driven novel. The scenes in the book take place at two levels, the first being the narrator’s present position and point of view (24 hours on location in a foreign land), the second a set of flashbacks explaining the current situation he finds himself in (a story that goes back more 20 years in time). The book is a tale about the disintegration of identity. An important theme in the book is its focus on modern visual culture – i.e. the question of how the constant flux of visuals and excessive image manipulation affect our lives. What are the consequences of such an epidemic spread of visuals for our ability to navigate sanely through our lives? The novel is supposedly said to have been inspired by an authentic video footage that Martin Hall found on the internet during his research on the subject matter (a reconstruction was made later, see the following link). During the process of writing the book Martin Hall was awarded a grant from The Danish Arts Council. As already stated the title was also released as an audiobook with its own original soundtrack. 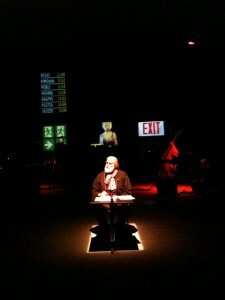 Parts of the manuscript furthermore served as basis for an audiovisual stage play that was performed during the autumn of 2010. In November the book was chosen as ”book of the month” at the Main Library of Copenhagen.